Car racing is a sport that constantly evolves. In the last decade alone, it has developed cutting-edge technologies that have paved the way for innovations in many industries. The Automobile Club de l’Ouest (ACO) was founded in 1906 and organized the first-ever Grand Prix. Not only is the club the biggest racing organization in France but they are also behind one of the most renown endurance races in the world of competition motorsport: the 24 Hours of Le Mans, which has been held annually since 1923 (except for the years during World War II). What is the 24 Hours of Le Mans? The 24 Hours of Le Mans is the world’s oldest active endurance car race and one of, if not the most, prestigious automobile events. Held in June each year on the Circuit des 24 Heures du Mans, the purpose of the race is to run 24 hours by balancing speed and the ability to finish the race without any mechanical failure. It welcomes 60 competitors and four different classes. All cars compete at the same time, however, there is an overall winner as well as one in each class. Instead of testing who has the fastest cars, the race pays tribute to the ability to build reliable vehicles. To successfully finish, and especially to win, the cars must have a combination of the greatest aerodynamics, high-speed stability, reliable parts, and a stellar driver. Part of the FIA World Endurance Championship, the 24 Hours of Le Mans is not only part of the Triple Crown of Endurance, along with the 24 Hours Daytona and the 12 Hours of Sebring, but it is also one of the Triple Crown of Motorsport races, along with the Indianapolis 500 and the Monaco Grand Prix. Impressively the Triple Crown of Motorsport brings together three kinds of car racing: Formula One, IndyCar and Sports Car. Winning the Triple Crown of Motorsport represents a career achievement for a race car driver. Only one race car driver has ever successfully won all three legs and claim the Crown: Graham Hill in 1972. Because car racing is very competitive, it is ACO’s mission to ensure all cars are compliant with regulations and everyone can compete in a fair way. ACO always starts a race event with a scrutineering period which is the process of checking that competing vehicles comply with the relevant technical regulations. 30 to 35 cars are usually assessed in a day, which gives them approximately 10 minutes per car. The traditional process consisted of conducting inspections with single point lasers. Everything was done manually and measurements could vary according to the operator. As all competitors improve their processes and are more and more innovative, ACO wanted to improve its level of quality control. Its goal was to change their ways and introduce a new measurement platform to have the best scrutineering system at the leading of technology. ACO wanted to be forward-thinking and ahead of the curve towards competitors’ advanced technologies. The ACO team evaluated different solutions and technologies to carry out the project. “Our job is to make sure the cars will be compliant with all regulations. That the competition is done in a fair way. That we are able to control the cars with the most accurate system,” confirmed Guillaume Bouttier, Technical Delegate at ACO. “We compared the different solutions proposed to us and the most competitive solution was absolutely the Creaform system.” Creaform’s project and technologies offered more possibilities in terms of control and an opportunity to do more and go deeper into details with the measurement processes. Creaform also provided a wide range of possibilities in terms of quality control. Not only could the team evaluate all the cars in the time allocated but also ensure better accuracy and an easy-to-use handheld device, key points for ACO’s decision. 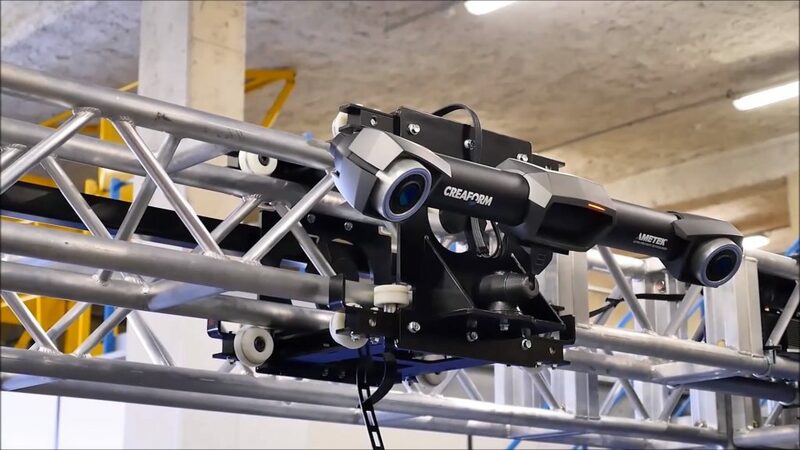 Creaform’s 3D solution consists of the MetraSCAN 750™ 3D scanner, a customized plugin for scrutineering, integrated into PolyWorks inspection software and a custom-built platform. 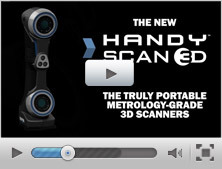 As speed was one of the crucial elements, with its 7 laser crosses, the MetraSCAN 3D™ was the perfect device. This powerful 3D scanner has a high measurement rate (about 480,000 accurate measurements per second) and large scanning area, for unmatched scanning speed. It gave the project team the ability to achieve its goal of 10 minutes per car. Paired with the C-Track™ optical tracker, which enables dynamic referencing, automatic alignment and continuous monitoring of part parameters, the solution gives the ACO team the opportunity to work all over the racetrack and even at the company’s facilities as the system is insensitive to instabilities and still collects accurate measurements in shop-floor environments where vibrations often occur, and parts frequently move. As all racing car has different shapes and material, the MetraSCAN 3D provides the team with the versatility to scan all of the cars, regardless if the surface is black, multicolored or shiny. “You have prototypes, you have GT cars, shapes are different, colors are different and for us, we really appreciate that the Creaform 3D system is able to read anything,” acknowledged M. Bouttier. In partnership with the Creaform Technology Integration team and Creaform Engineering, ACO created a customized platform and application software to successfully accomplish its project’s goals. The platform is meant to allow semi-automatic scrutineering of the cars in as little time as possible. The complete customized solution requires that the tools measure the vehicle’s weight, reference plane (measuring the clearance underneath the car), and cars’ dimensions. The platform includes scales, provided by Captels, to automatically weigh the cars and four lasers, from Ametek Solartron Metrology, to measure the reference plane. It is also combined with a metal structure to facilitate the movement of the C-Track just by sliding it with a handle to its right position. 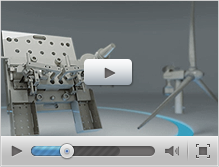 The platform is linked to a unique PolyWorks® custom application software that includes a specific toolbar and interface as well as a custom step-by-step guide. This guide facilitates the measurement process and helps operators to easily perform their tasks. Each car is inspected with the customized guide created especially for each of the two types of cars: GT and Prototypes. The scrutineering process is determined by preselecting the next competitor car profile that would be mounted on the inspection platform. That specific car is then brought in. The operators first weigh the car automatically with the Captels balances and then measures the reference plans with the Solartron lasers. Once those steps are completed, the operator places the positioning artefacts with targets on the vehicle which enables the car’s dynamic tracking. The software guides the operators in manually placing the C-Track at the correct position to scan the section of the car that needs to be inspected. There are 7 different positions where the C-Track should be for the scans to be executed. Each time a specific area has to be scanned, the application tells the operator where the C-Track system needs to be. The targets of the positioning artefacts are detected automatically, and the specific sections are inspected by the operator. “We can control all the parts of the car and especially we can compare it to the CAD file, which is really new for us. But also, it offers us the possibility to scan the entire car. Our ultimate goal is to make sure the surfaces are compliant with the homologation forms and regulations,” said M. Bouttier. At the end of the sequence, data is automatically extracted for each element and a full-scale automatic report is generated and can be printed right away for instant feedback to competitors. The customized Creaform 3D solution created for ACO can also be easily shipped around the world to ensure all the FIA World Endurance Championship races. 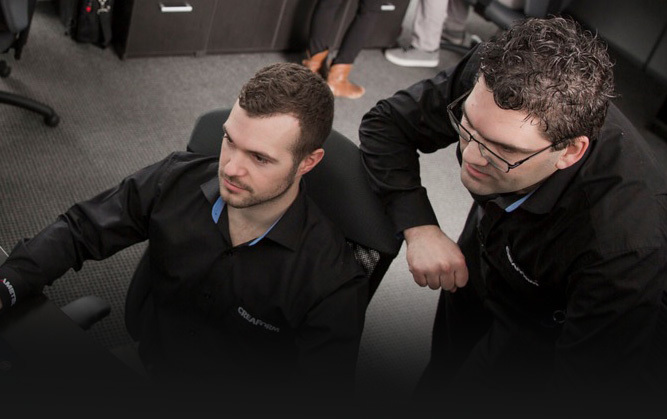 Creaform helped ACO to equip its team with the right tools to inspect competitors’ cars with the peace of mind and certainty that all vehicle respect regulations and each race is completely fair. Thanks to Creaform, ACO is off to the races!